Aesthetica Magazine - Who Should Win the Turner Prize 2011? Who Should Win the Turner Prize 2011? The Turner Prize will be awarded at BALTIC Centre for Contemporary Art later this evening, during a live broadcast on Channel 4 between 8:00 – 8:30pm, to an artist under 50, born, living or working in Britain, for an outstanding exhibition or other presentation in the twelve months before 4 April 2011. An exhibition of work by the shortlisted artists is currently on show at BALTIC Centre for Contemporary Art, Gateshead until 8 January 2012. The following images are a selection from the exhibition and, away from the noise of the fervent criticism and the energetic debate and countless column inches, they are something to behold. 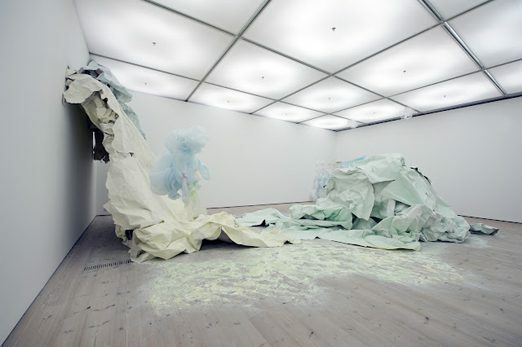 Karla Black has been nominated for her solo show at Galerie Capitain Petzel, Berlin, and for contributions to various group exhibitions, which together consolidated her innovative approach to sculpture and displayed her increasingly powerful works made with ephemeral materials. Earlier this year, Regina Papachlimitzou reviewed Structure & Material, Black’s joint-show with Claire Barclay at Spike Island, Bristol. Follow this link to read the piece. 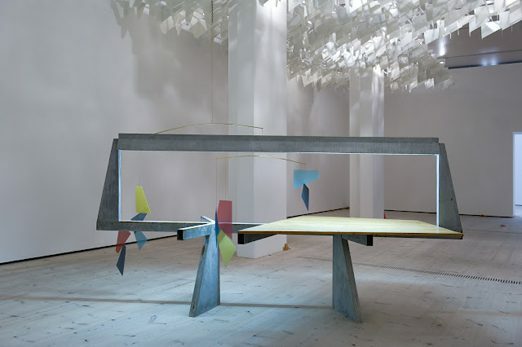 Martin Boyce has been nominated for his solo exhibition at Galerie Eva Presenhuber, Zurich, which built upon his project for the 53rd Venice Biennale by holding the viewer within an atmospheric sculptural installation. Boyce’s work combines references to design history and text and is marked by a subtle attention to detail. Boyce’s work is featured in the current issue of Aesthetica as part of a survey of this year’s Turner Prize. To buy a copy click here. Hilary Lloyd has been nominated for a solo show at Raven Row, London. The exhibition marked a step-change for the artist in terms of the ambition and scale of her project, which investigates the interrelation of moving image, sound and sculptural form in the portrayal of the urban environment. Lloyd’s work is featured in the current issue of Aesthetica as part of a survey of this year’s Turner Prize. To buy a copy click here. 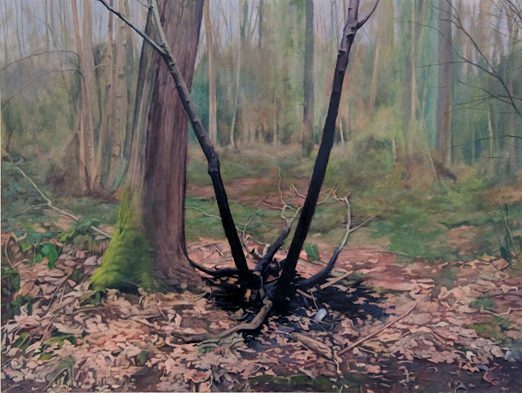 George Shaw has been nominated for his solo exhibition at BALTIC, Gateshead. Shaw’s paintings depict the area around his childhood home and are rendered exclusively in Humbrol enamel paint. With their deeply personal juxtaposition of subject matter and material, they lie intriguingly on the edge of tradition. Earlier this year, Paul Hardman reviewed The Sly and Unseen Day when it travelled to the South London Gallery. Follow this link to read the piece. 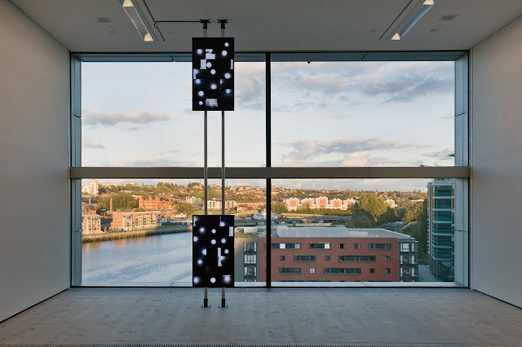 Turner Prize 2011 Exhibition continues until 8 January 2012 at BALTIC Centre for Contemporary Art, Gateshead.